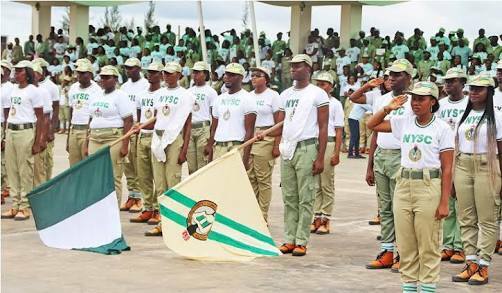 The National Youth Service Corps (NYSC) in Nasarawa State has confirmed the release of Blessing Nwapa, the kidnapped Batch A Stream 1 female youth corps member posted to the state. Isah said that Nwapa from Abia, who was kidnapped on Friday, Oct. 6, in Udege Mbeki community of Kokona Local Government Area was released on Sunday.“She was kidnapped on Friday on her way from the bank in company of some other corps members. She explained that the NYSC in collaboration with the State Government, security agencies and the Traditional Ruler of Osu Ojiri, Alhaji Halilu Bala-Usman, swung into action to effect her release. The governor directed the Commissioner of Police to ensure that the corps member was unhurt and untouched.“I want to thank the governor for the fatherly role he played in securing the freedom of the corps member. “I also thank the Osu Ojiri of Undege Mbeki, all the security agencies and even the vigilante in the community.I just want to thank everybody for the vital roles they played. She said that all necessary medical investigations carried out at Federal Medical Centre in Keffi proved otherwise.“The corp member was never raped. I have visited the hospital with her and have the result proving that she is medically okay. “So, I want to dispel that rumour that she was raped. Most importantly, the corp member has used her own mouth to say she was not raped.“Yes she was beaten but never raped because at the time she was kidnapped, she was bleeding heavily. “So, when they saw that she was menstruating, they didn’t want her again and started beating her. I can authoritatively tell you she was rescued unhurt,” she said. Isah said that the female corps member would be taken to Government House on Tuesday to see the governor before any further step would be taken on her case. Meanwhile, DSP Idrisu Kennedy, the Spokesman of the Police Command in the state, also confirmed the rescue of the kidnapped female corps member.